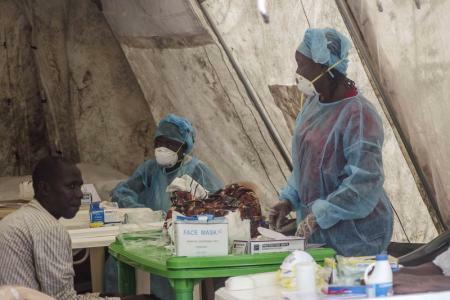 The news that Sierra Leone, like other countries in the sub-region, has been hit by the Ebola disease is no longer a secret. If anything, I had assumed that the disease could easily be contained and our health authorities have the resources and expertise needed to contain it. In fact, I was wrong! I was completely wrong after I began to understand the severity of the disease and its consequences. 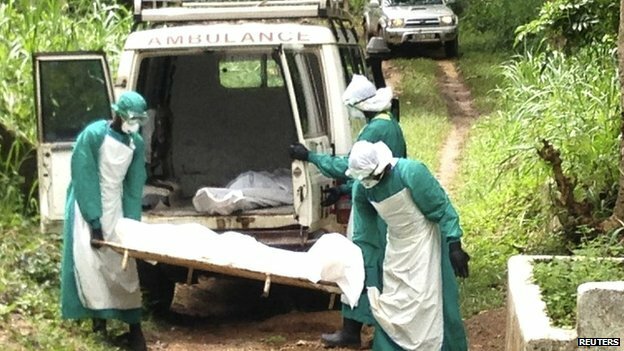 Given the number of confirmed deaths in the country and reports that the only Sierra Leonean doctor in Kenema with the requisite expertise that the country has known and has led the fight to defeat Ebola, has himself fallen victim to the disease, it is clear all hands are needed to avoid exacerbating the already ugly situation. The news about Dr. Sheik Umar Khan hit close to home. ‘Squazo’, as he is fondly called, was a schoolmate at St. Francis Secondary School and a neighbour in Makeni when he stayed with his older sister. When news of his illness hit social media, the overwhelming positive response from compatriots tells a story; a story about a young man who gave generously of himself to help the Ebola victims. Ask anyone who knows him, they will tell you they expected nothing less. Well, our Alma mater, St. Francis Secondary School has taught us that where great things are expected of us, we will never disappoint. In the Ebola battle field, my friend and brother, Dr. Khan (Squazo) did not flee. He faced it head –on with severe consequences. He chose not to disappoint. Instead, he manifested the true Franciscan spirit in a national tragedy. His bravery and selfless service is an example to all of us. He and his colleagues and the nurses chose to be at the epicenter of the crisis. We pray that they will recover soon and those whose lives have been lost in the line of duty, that their service never, never go in vain. May their service to the nation teach us about standing together in good and challenging times and bring the best in us. President Koroma realized this devastating health crisis when he summoned all citizens to engage in the fight and help raise awareness and support his government’s efforts. Late this week, it also emerged that His Excellency has engaged development partners in the country to intensify their efforts in eradicating the Ebola crisis and he is now personally leading a presidential task force to coordinate his government’s response. I wish to recognize the herculean task faced by governments in the Mano River Union in general to contain this disease. The report of a confirmed case in Nigeria demonstrates that Ebola is a threat to ECOWAS and the global community at large. Hence, we very urgently need a scaled up global effort to support Sierra Leone and the sub-region eradicate the disease. If anything, experience over the last few weeks has shown that, battling a disease of this nature in a country whose health Infrastructure has never been stellar, at least as far as I have known or one constrained by the legacy of war, was never going to be easy. As dire as the situation is, I commend Sierra Leoneans at home and abroad who have risen to the occasion. They have answered the President’s call and have mobilized resources and support from their communities and continue to do so as I write. There are many organizations and companies that are helping in their own unique ways, albeit some have chosen to do so quietly. All who have contributed in one way or the other deserve to be commended. Allow me to highlight the quiet but powerful mobilization of effort by Sierra Leoneans in the United Nations system. Within a short period of two weeks, they have mobilized tens of thousands of dollars of donations to buy protective gear and other essential supplies. They showed efficiency and speed in establishing accounts for easy transfer of funds, identified what to purchase, and discussed effective delivery mechanisms to make sure the assistance will reach the intended beneficiaries. I salute our colleagues in the Entebbe -Sudan UN-system for leading this drive. They have demonstrated a true sign that we can apply our service to our country at a time when our knowledge and skills are needed – over and above the millions of dollars sent home as remittances. Speaking about quiet mobilization, I also feel compelled to share my experience in supporting Dr. Yumkella doing his quiet, international diplomatic and personal efforts for several weeks, to support our government and the people deal with the crisis. I have had the privilege of watching him make non-stop calls to senior UN colleagues and other agency heads, donors, NGOs, and other personal contacts to find out more about the scope of the crisis; ask how he could help mobilize support and action and link the government with global experts. For example, this past few days as he travelled from Paris to London and to Scotland on official engagements, he intensified his efforts even further. In Scotland, he also made a direct and personal appeal to UK DFID’s Under Secretary Lynne Featherstone. I even had the privilege to listen and make notes during his discussions with Dr. Margret Chan, Director General of WHO, who has personally taken a hands-on approach to dealing with this crisis. His telephone calls to organizations have not stopped – to secure more funding for groups on the ground to get mobile laboratories into the country, and how to set up a call between President Koroma and Dr. Chan (to facilitate getting treatment for Dr. Khan outside of Sierra Leone). I was excited to listen to President Koroma and Dr. Yumkella discuss actions and options all aimed at containing the disease and getting additional international support. I was particularly amazed at the marathon meetings and hands-on approach the president has now personally taken this past week. It is obvious that as a leader he cannot boast about what he has tried to do. 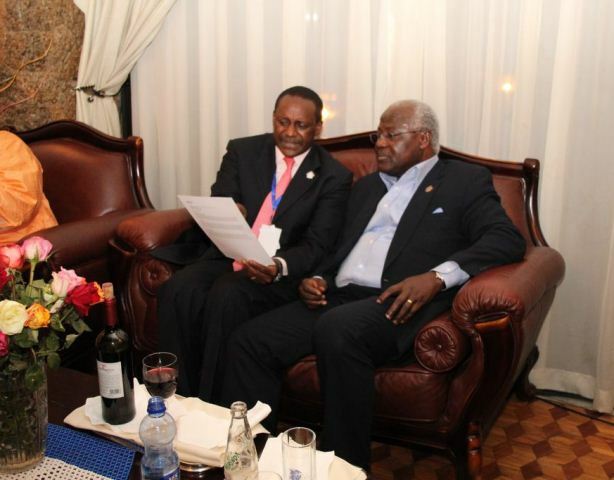 After several attempts to synchronize schedules all day, Dr. Yumkella linked the two leaders up two nights ago. I also know for a fact that he and his family have also provided direct personal financial contribution through NGOs to support contact tracing and social mobilization through community leaders and members of parliament from the worst affected areas of Kailahun and Kenema. Supporting the government and people of Sierra Leone is really not new for him. He has always done it regardless of which party is in power and whether it is an official request or not. For him, it is about Sierra Leone and making a difference in peoples’ lives. 1. No developing nation has the full capability to deal with Ebola. Isolation of all suspected cases is crucial. The key is to focus on avoiding further spread, containment and treatment of suspected and confirmed cases. 2. The government should do a greater awareness campaign to dispel rumors and misconceptions. This is necessary so that people do not hide suspected cases or try to go to traditional healers. Social mobilization is critical to contain the spread. 3. The international community including WHO, DFID, CDC, Red Cross, Doctors without Borders and other partners are already doing their best. But this effort needs to be scaled up. There is currently a $14 million gap in the funding required. The country needs more treatment centers and protective gear to successfully win the Ebola battle. Let’s mobilize funds from our communities in the diaspora to ensure we win this devastating battle. What can we learn from moments of crisis? 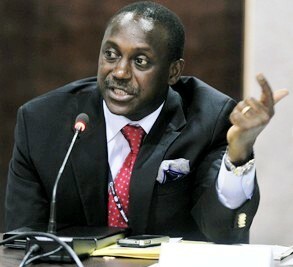 Over time, I have learnt from my boss – Kandeh Yumkella that, to successfully manage a crisis, a few things are necessary. First, determine the real facts and cross-check the data with credible experts. Second, identify the gaps; and third, see where you can be useful or can add value. Finally, take effective action and then scale up action. A few years ago, we overcame the war. We can do it again – we can defeat Ebola. Every little effort helps, provided that it is well coordinated.